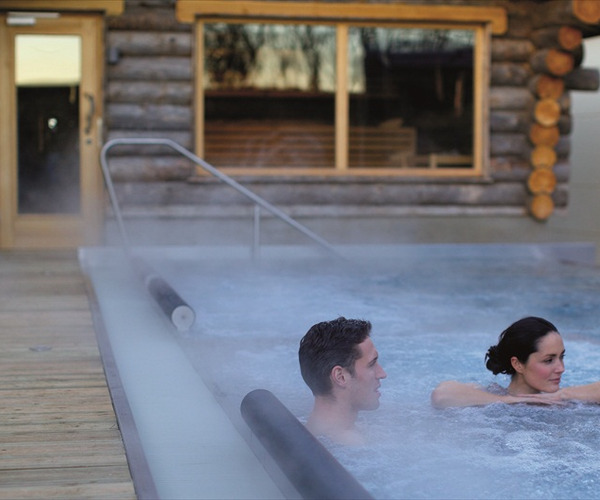 Boasting some of the best thermal spa facilities in the UK, Y Spa overlooks the stunning Wyboston Lakes. The thermal spa promotes hot and cold therapies: benefits of which include improved respiration and circulation, relief of aches and pains, and improvements to skin. Spa facilities include a selection of saunas, experience showers, a relaxing hydrotherapy pool and more. We also have a range of expert treatments with highly skilled therapists. The hotel offers newly refurbished ensuite bedrooms and the award winning Waterfront Restaurant & Grill. Y Spa is easily accessed from Cambridge, Milton Keynes and London’s King Cross. Take some time to slow down, relax and experience the thermal qualities of our exceptional spa. Please note Spafinder Gift Card and any other gift card can only be redeemed against spa days and treatments during your stay and can not be redeemed against the residential stay. Explore the extensive facilities of the Thermal Spa Experience, an expansive area flooded with natural light and a warm atmosphere. There are hot and cold experiences, salt-infused steam room, beautiful Kelo wood sauna with 100 year old logs (one of the hottest Y spa experiences, not for the faint of heart! ), hydrotherapy pool, chill zone and relaxation areas. 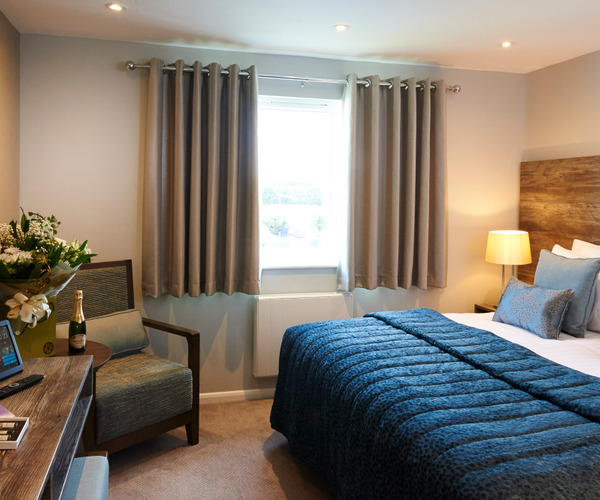 Wyboston Lakes has a variety of stylish, comfortable rooms to choose from, including Family and Executive Rooms. Rooms have everything you need for a relaxing stay, with 21” flatscreen TVs and free wi-fi. Enjoy traditional English dishes and modern European fare at the Waterfront Restaurant, complimented by a carefully-selected and diverse wine list. There are beautiful views overlooking the south lake, so you can experience a relaxed dining experience in style.